AVOW IS HERE FOLKS!!! YES!!! 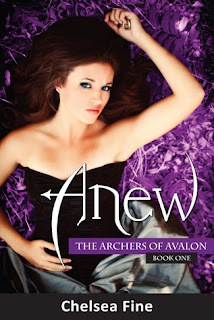 So Avow is the 3rd and final insallment in the Archers of Avalon series, came out yesterday. This series has become a FAVORITE of mine, and the third book in the series was amazing! 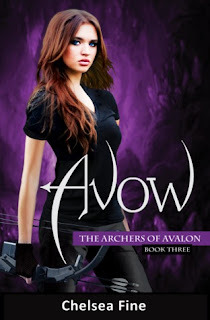 So to celebrate the release of Avow we'll be doing a giveaway, I will also be doing an interview with the amazing Chelsea Fine and reviewing the whole series this week! :D Anyways onto the giveaway! 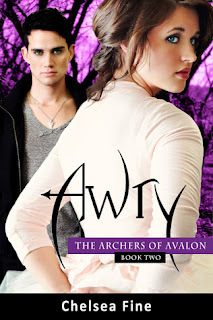 Haven't heard of the awesome Archers of Avalon series? Here is a summary of book 1 Anew! Two years ago, Scarlet awoke in the forest alone, afraid, and unable to remember anything. Lost and confused, her life was a mystery...until she met a boy with a familiar voice. Gabriel Archer has a voice from her past, and Scarlet's determined to remember why. She immerses herself in his life only to discover he has a brother he's kept hidden from her: Tristan Archer. Upon meeting Tristan, Scarlet's world becomes even more muddled. 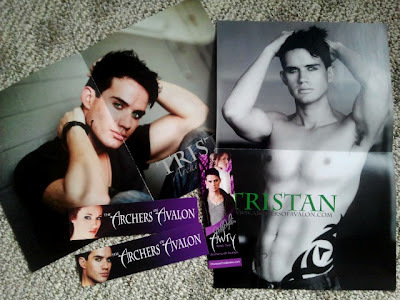 While she's instinctively drawn to Gabriel, she's impossibly drawn to Tristan--and confused out of her mind. As she tries to piece together her history Scarlet realizes her past...might just be the death of her. Aaaaw, I'm too late to enter. *pout* This looks like such a great series!! !